Contemporary Rock, MIDI-File Bank from Groove Monkee. 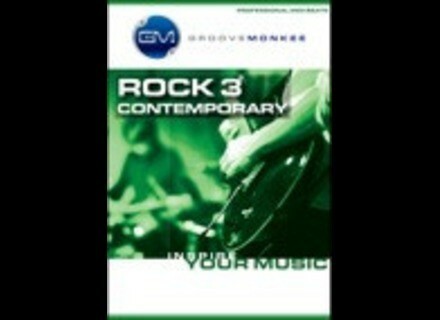 Groove Monkee Rock 3 is a collection of over 400 four and eight measure MIDI loops for contemporary rock music. Played by a professional studio drummer, the loops are mapped for most leading drum samplers such as Battery, BFD and EZdrummer, the company says. The grooves are arranged into song format with intro, verse, chorus, bridge and outro loops. The library is available now via instant download or on CD. For more information, visit www.groovemonkee.com. Focusrite Launch Saffire PRO 24 DSP Focusrite’s new Saffire PRO 24 DSP is a 16 In / 8 Out FireWire audio interface that features real-time DSP-powered tracking and mixing solutions that are tailor-made for the modern home studio environment. LiquidSonics Updates Reverberate LiquidSonics has updated Reverberate to v1.101.